The search begins for Dundee’s Citizen of the Year. Each year Dundee City Council chooses a volunteer from the community to highlight their work and selfless efforts by naming them Citizen of the Year. This is an annual opportunity to put forward someone whose good work qualifies them to be Dundee Citizen of the Year opens later this week. 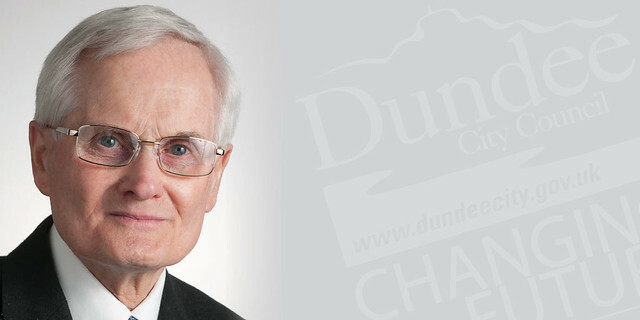 Lord Provost Ian Borthwick said: “The title of Citizen of the Year is a special one not only because it is awarded to someone who has provided outstanding service to the community, normally on a voluntary basis, but also because the nominations come directly from members of our community. “The accolade of Citizen of the Year is the city’s way of celebrating truly outstanding individuals. “People who have benefited from, seen or been involved first hand with the person they are nominating and know for themselves the good work that the individual has been doing, sometimes over many years. Any nominee must live in the Dundee City Council area. Forms are available from www.dundeecity.gov.uk/service-area/corporate-services/democratic-and-legal-services/dundee-citizen-of-the-year or by telephone on 01382 434444. Nominations close on December 31 2018, with the winner announced early next year.